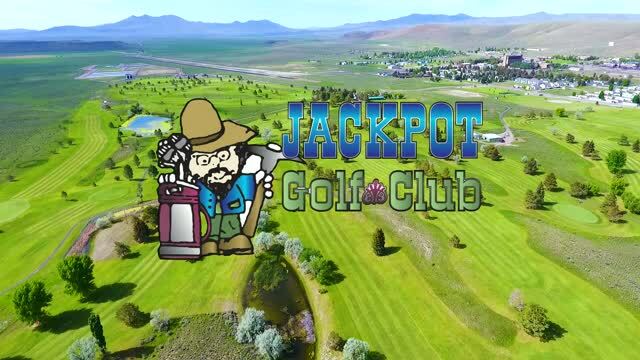 Nestled in Northern Nevada, Jackpot Golf Club is an award-winning 18-hole, par 72 course that challenges golfers of all skill levels. With more than 6,900 total yards, this championship course designed in 1971 by Robert Muir Graves offers rolling hills, large and fast greens and gorgeous views of the surrounding desert. Golfers won't be disappointed spending the day here. At a mile-high elevation, this quiet and peaceful course is a perfect place to escape some of the valley heat, but don't be surprised to see wildlife joining you on the fairway. Common to this golf course are coyotes, antelope and rabbits, as well as plenty of hawks and owls that call this course home. With bent grass greens and fairways, look for one of the best conditioned courses around, accommodating to players from beginner to advanced. Voted as the winner of Golf Digest's Best Places to Play Golf Under $50 award, Jackpot Golf Club lives up to its title. 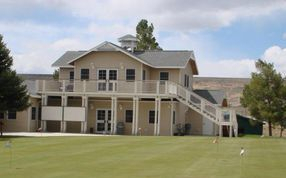 Enjoy your visit with all the amenities including a large, all grass driving range, a practice putting and chipping green, quiet electric golf carts, a full-service pro shop touting the latest and greatest in golf clothing and clubs and of course, a complete snack shop and full service bar. Jackpot Golf Club truly is a diamond in the desert. Join us for your next golf adventure!